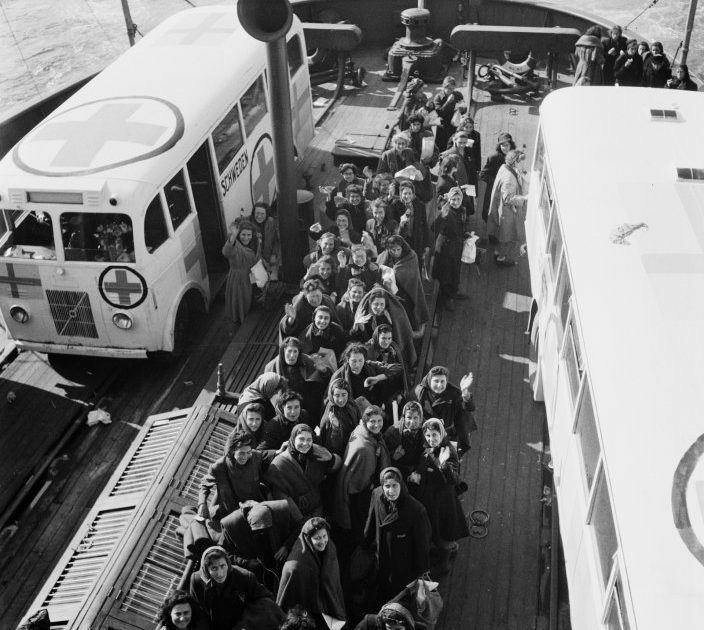 The Swedish Red Cross rescue action with the White Buses to Germany in the last phase of the Second World War has through the years been described in many books, essays and publications. Contradictory information has occurred. The parts played by the different participants has been questioned and debated. Information concerning how many were rescued by the White Buses has varied greatly. Neither has it been established how many of those where Jewish. Questioning the aim of the rescue expedition and Folke Bernadotte’s role has been among the more serious accusations. The latest media debate, by the radio program “Take the Jews last” in spring 1998, resulted in the Swedish Red Cross inviting historians, archivists, media representatives and other experts to a historic seminar in May 1998. As a result of this the Swedish Red Cross gave external researchers free access to the organizations archive material. We have also ourselves continued working with this issue, a work that among other things has resulted in this document. In 1995 the Foreign office released its classified documentation of the rescue action after 50 year. Large amounts of documents where made available for research. During spring 1999 we found even more classified Red Cross documents in our archive. We also re-discovered Folke Bernadotte’s two missing pocket diary’s from 1944 and 1945. We have now gone through all this material and will add it to the existing collections at the National Archive in Arningen and present the diary’s to Folke Bernadotte’s family. Source: The White Buses. The Swedish Red Cross rescue action in Germany during the Second World War – The Swedish Red Cross, Stockholm, January 2000 /Research: Agneta Greayer and Sonja Sjöstrand/Editing: Martin Wikberg Translation: Annika and Peter Hodgson.